2009 sees the 250th anniversary of the birth of Scotland’s most famous poet, Robert Burns. In the post below Professor Rab Houston of St. Andrew’s University looks at the history behind the tradition of Burns Suppers, and dispels some myths about their origin. 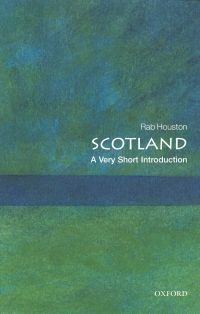 Rab Houston is the author of Scotland: A Very Short Introduction, and has previously written for OUPblog here and here. Even before his death, poet Robert Burns’ cottage at Alloway, Ayrshire, had been sold to the incorporation, or guild, of shoemakers of Ayr, one of whose members turned it into an alehouse. It was here, on 29 January 1801 (they got his birthday wrong) that soldiers of the Argyll Fencibles (militia) met to hear their band play – and to use the services of his cottage in its new role. The first recorded Burns Supper took place at Alloway in the same year, but on the anniversary of his death (21st July). It involved a speech and multiple toasts; to eat there was haggis (which was addressed) and, a mercifully lost tradition, sheep’s head; given the social status of those present, refreshment was probably wine and ale rather than whisky. Present were nine friends and patrons of Burns. Among them was a lady, though thereafter the Suppers were mostly (sometimes militantly) all-male affairs until far into the twentieth century: a curious slant on Burns’ own life as well as on the first dinner. The ‘toast to the lasses’ was traditionally thanks for the cooking and an appreciation of the women in Burns’ life, only later degenerating into a sexist (often misogynistic) rant. Celebrations were held twice yearly until 1809 when participants settled on January (25th), because this fell in a slack period of the agricultural year. Commercialisation of his birthplace did little to honour the memory of his life and work, and in 1822 the poet John Keats complained bitterly of how both the ambience and the landlord of the Alloway inn degraded Burns’ greatness. Any group of individuals can hold a Burns Supper. These blend sociability and conversation, keynotes of the Scottish Enlightenment, with more universal practices such as commensality and drinking. Sociability could be more consistently promoted by associations. Set up in the early 1800s, Paisley (which has the earliest extant minute book starting in 1805) and Greenock vie for the title of first Burns Club, but after 1810 these associations proliferated. Popularised in the press, Burns Suppers and Burns Clubs were widespread by 1830 not only in his native Ayrshire, but also throughout Scotland. The great Ayr Festival of 1844 enhanced international awareness of the celebration, and the creation of the Burns Federation in 1885 brought together hundreds of Clubs worldwide. There are as many as 400 affiliated clubs nowadays. The first all-female club was founded at Shotts in Lanarkshire in 1920, and the Federation, now based in Kilmarnock, had to wait until 1970 for its first woman president. Burns died at a time of profound economic, social and political change when writers perceived that Scottish identity was being lost. Romantic and anti-modernist, they found in him a symbol of an allegedly uncorrupted Scotland. Burns became a uniquely elastic symbol over time and space, as valuable to those who did not know his language (English or Scots) as to those who did; to laissez-faire liberals (nineteenth century) as to radicals and socialists (twentieth century); to the urban middle classes as to the rural working people from which Burns and his inspiration came; to Japanese as to those of Anglo-Saxon stock; to temperance campaigners as to generous imbibers; to nationalists as to unionists. The cult surrounding him has been reshaped many times in the two centuries since his death. Identities have moulded representations of Burns as much as Burns has formed identities, but Burns has proved a uniquely enduring and accessible icon. Celebrating the centenary of his birth in 1859, the Boston, Mass. Burns Club, founded in 1850, affirmed that there had ‘never been any national, sectional, or other bar to membership’, other than a love of liberty and republicanism. Representations of Burns mix the particular and the historically accurate with the general and the fabricated. So too with the Suppers that commemorate him. They have been appropriated to express bourgeois male solidarity and commercial needs as much as universality, though it is possible that the enduring popularity of these gatherings lies in their safely apolitical nature. It is curious that an invented and reinvented tradition bearing Burns’ name should have become a powerful symbol of Scots at home and, even more, abroad, when another active contribution of his has been so little developed. This was his confident and skilful use of Scots. Burns was celebrated in the nineteenth century for preserving a dying language, and the use of Scots is integral with the Suppers. Yet it is another surrendered or suppressed tongue, Gaelic, which has been resuscitated in the guise of an independent ‘national’ language in modern Scotland. This is despite never having been spoken by all Scots, even in the middle ages, and being now spoken by just 1% of Scotland’s population, most of whom live in greater Glasgow.